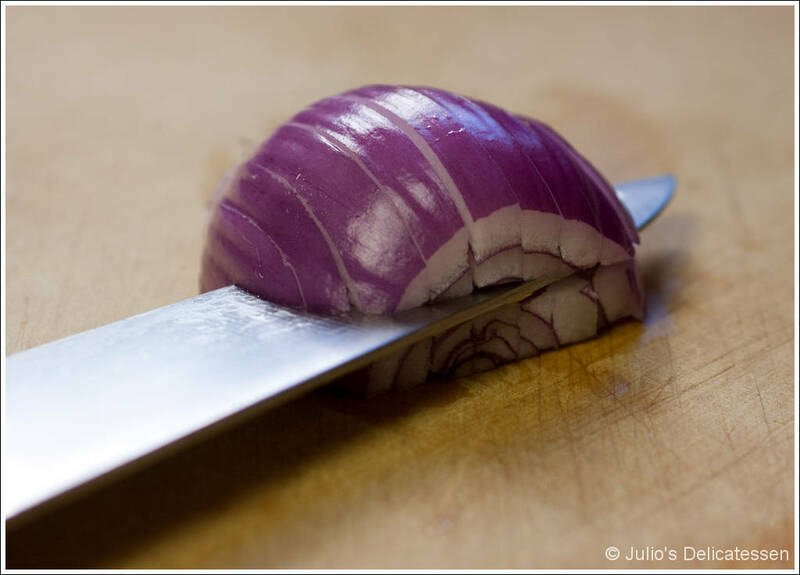 Before peeling, cut the onion in half, making sure to cut directly through the root end. Remove skin (and the outer layer if it doesn’t look good) and place cut-side-down on the cutting board. 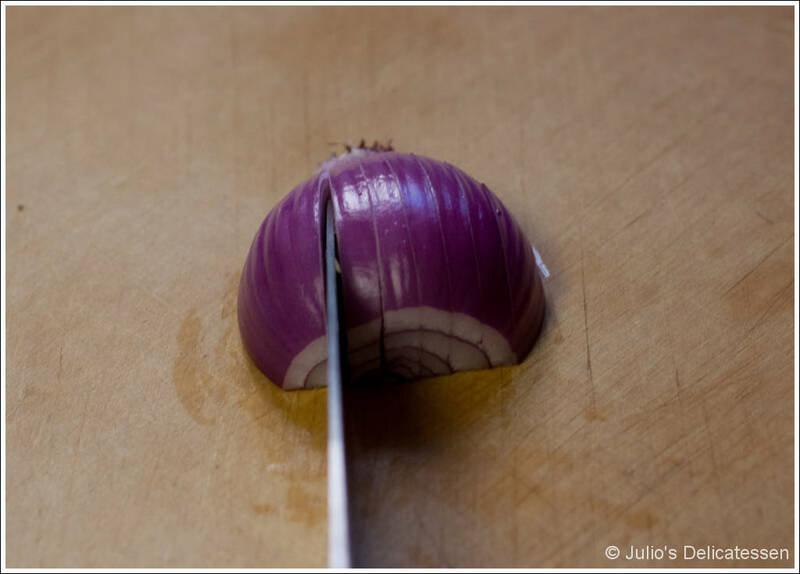 Slice the top end (opposite the roots) off the onion. 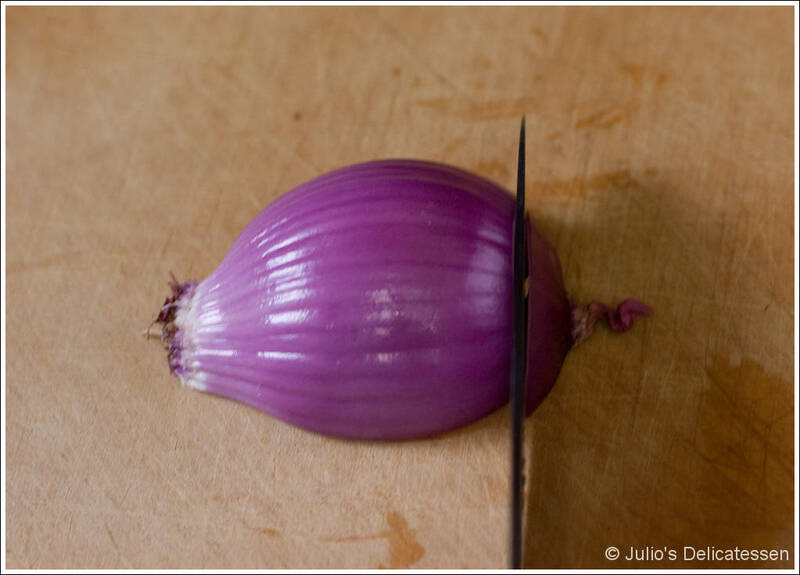 Carefully make parallel cuts through the onion with the blade of the knive pointing toward the roots (but leaving the roots intact to hold the onion together). Depending on the size of dice you’re going for, you can make one, two, or three cuts parallel to the cutting board. 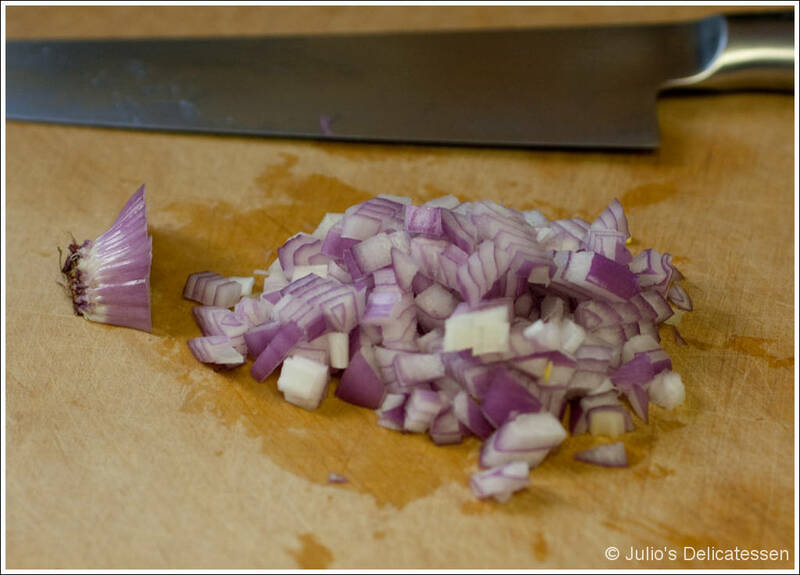 Finally, slice the onion into dice. 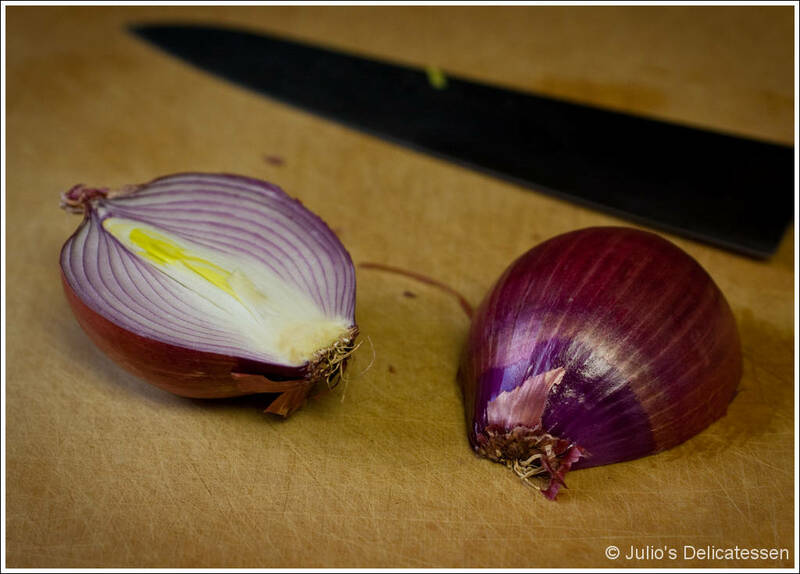 At this stage, it should be easy (and the onion will stay together thanks to the roots that you left intact). 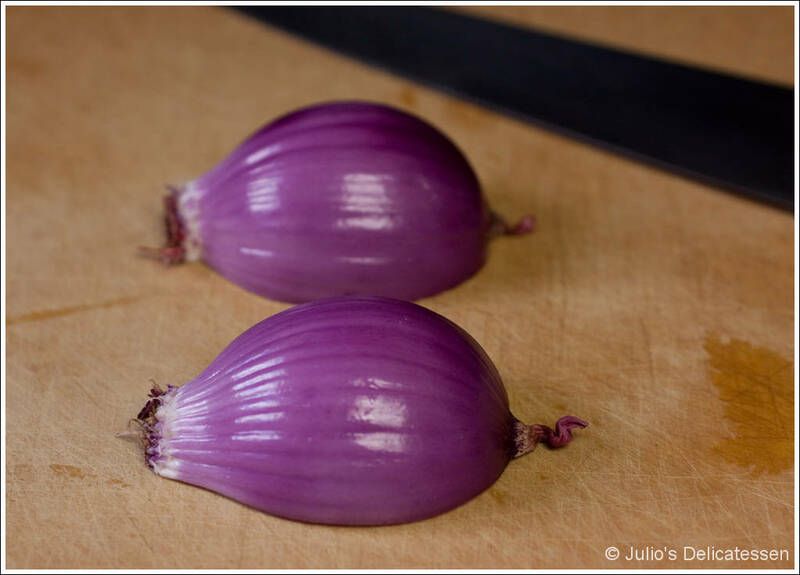 By the way, the same technique works equally well for mincing shallots.